Runners across the divide are looking for a gadget that meets their need for monitoring their fitness progress; something that motivates them to do reach new fitness levels. 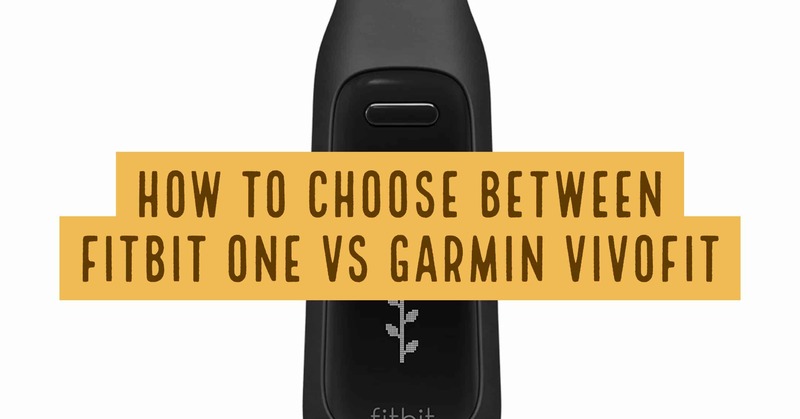 With the available options out there in the market, the Fitbit One and Garmin Vivofit are without a doubt two of the best options when it comes to fitness trackers. In this comprehensive review, we’ll look at features of both in detail, and why runners should choose them. This fitness tracker is clipped onto your clothing as opposed to wearing on your arm. It comes with an above-average charge retention time of 10 hours, and a super-fast charging time of only 60 minutes. The average battery life for fitness trackers is 8 hours, with 120 minutes reserved for charging. With its OLED screen (the latest screen technology available), you’ll certainly find it easy to read your stats on the monitor screen. In addition to the above tracking features, it has an alarm clock, goal setting, bar-code scanner, online portal, expert training/coaching, and social integration. You won’t get this special feature in every fitness tracker out there, but with the Fitbit tracker, you’re guaranteed a device that syncs automatically with mobile and computer devices. For syncing with a mobile device, it uses Bluetooth 4.0 technology. It connects to computers via USB. Further, it supports all available operating systems - iOS, Android, and Windows. This is the lightest tracker on the market today. Coming at a very light weight of only 8 grams, it beats the closest by a whopping 9 grams in terms of weight. On top of that, it has a water-resistant feature, meaning it is able to withstand rain, shower, sweat, and splashes. However, it cannot be entirely submerged in water, therefore, it is not ideal for swimming. Fitbit One is a stylish fitness tracker that will help you attain your set goals throughout the day. Its OLED screen display allows you to view your progress, with stats displayed instantly at the touch of a button. Its light weight makes it an ideal option for clipping somewhere onto your gear, and getting on with your chores with ease. The Garmin Vivofit fitness tracker with heart rate monitor is normally worn on the wrist like an ordinary wrist watch. It has an incredible battery life of 365 days, that is a whole year of not worrying about replacing or charging your battery. Its screen uses LCD technology, which is certainly not the best out there, but it gets the job done. Other notable features include the clock, reminders, goal setting, and activity reports. This gadget weighs only 22.5 grams, making it comfortable for every runner. It is lighter and more comfortable than most ordinary wrist watches. It is also water resistant, and capable of withstanding light showers, splashes, and sweat. It is, however, not ideal for swimming exercises since it cannot withstand full immersion to a water body. Move bar feature – This is the gadget that will motivate you to be active throughout the day. It displays a red move bar after every one hour of inactivity that can be reset by taking a few steps. Long battery life – You won’t have to worry about your battery for a whole year as it uses a replaceable battery, unlike other fitness trackers that need to be recharged every now and then. Attain your daily objectives – The Garmin Vivofit records and keeps your stats, assigning you specific targets for each new day. That means you have no reason to have an unproductive fitness day. Keep track of calories burnt – The number of calories you can burn throughout the day depends on how active you are. All that, and so much more are displayed on your screen all the time. Both the Fitbit One and the Garmin Vivofit are similarly priced and come in a variety of colors. With the water-resistant feature, they are both ideal for working out in sweaty or wet conditions and taking light showers and splashing. However, they are not designed to withstand extended full water submersion; they are not an ideal choice for swimming. 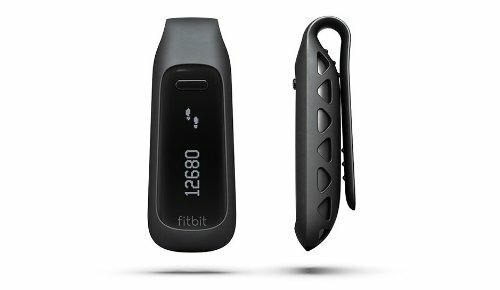 - Fitbit One uses a rechargeable battery while Garmin Vivofit uses a replaceable battery. While the former’s rechargeable battery can go for about 8-10 days, the Garmin replaceable battery lasts a whole year. 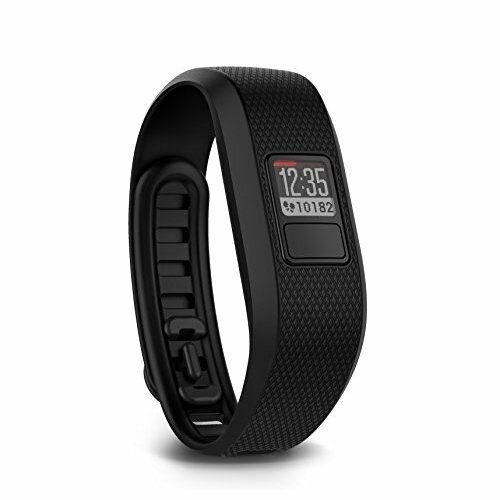 - Fitbit One uses the latest OLED screen technology, while Garmin Vivofit uses the older LCD screens. While this could be seen as a massive distinction, it does not negatively impact on the ability to read stats from the display. - Fitbit is worn somewhere on the clothes using a clip, whereas Garmin is worn like a wristwatch. 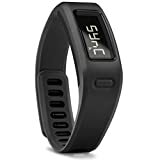 - In terms of weight, Fitbit One is much lighter compared to Garmin (8gms vs 22.5gms), but that difference can be overlooked due to the fact that one is used as a wristwatch whereas the other is clipped onto your clothes. 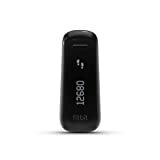 - Today, there are more varieties of Fitbit trackers than there are Garmin Vivofit trackers, so basically the former offers a wider variety and benefits to runners. In respect to runners, Fitbit and Vivofit trackers are ideal for outdoor running. 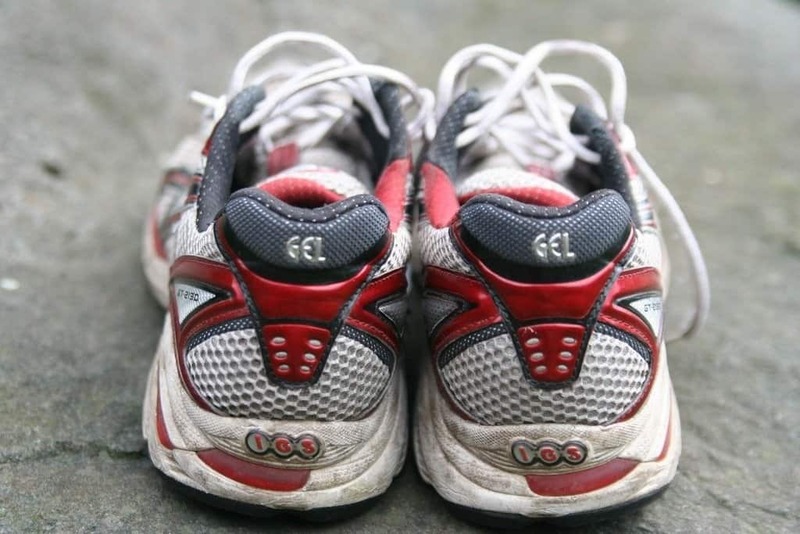 Runners are given full achievement data on their outdoor running routes, even in the absence of digital equipment normally used at the gym for recording valuable statistics. Both Fitbit and Garmin trackers are electronic devices that should be handled with utmost care. They are sold with a user manual and therefore, it is necessary to read through carefully and understand before using these devices. As with any other manufactured device, these gadgets may fail in one way or another. The best option is not to panic but to consult your user manual for clarification.